The latest Nike Kyrie 1 “Brotherhood” pays tribute to Kyrie Irving’s collegiate career as a Duke Blue Devil. This new Nike Kyrie 1 “Brotherhood” reflects the three-time All-Star’s appreciation for the camaraderie and leadership lessons he gained in college and brings to the court as a professional. 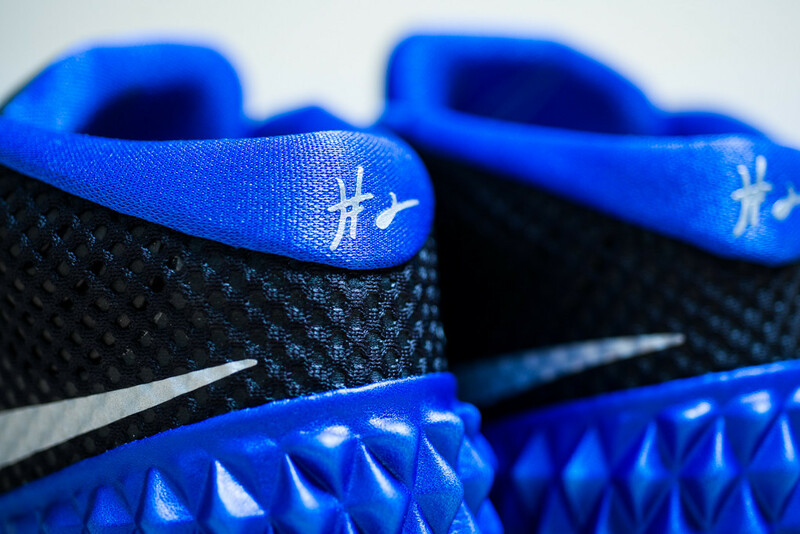 The shoe features a Blue-and-Black color makeup is a tribute to his university. Check out the detailed/official photos below and look for the Nike Kyrie 1 “Brotherhood” to now release on Saturday, March 21st, 2015 at select Nike Basketball retailers, including Nike.com. The retail price tag is set at $110 USD. The shoes will also come with matching Duke-inspired apparel. Let us know in the comments section if these will be a release you’ll be planning to scoop up for March Madness.